As a good corporate citizen, we continually strive to make positive contributions to the community in the location of our operations, and certainly to the people and nation of Indonesia in general. As a good corporate citizen, we continually strive to make positive contributions to the community in the location of our operations, and certainly to the people and nation of Indonesia in general. 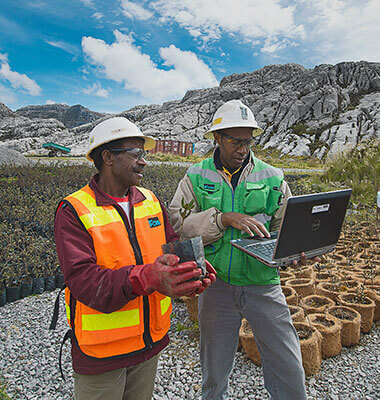 We work towards sustainable development through ensuring a healthy environment in which to live and prosper, for our workforce and the local community. As members of the community, PT Freeport Indonesia continually endeavors to create and support skill building programs for the local community, and to generate permanent, positive impacts that will endure even after there are no more mining operations in the area. 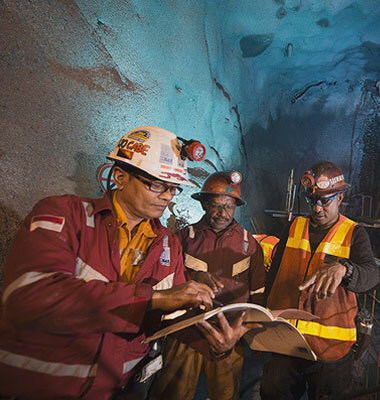 With the responsibility vested in us by the Government of Indonesia in our capacity as a mining operator in Papua Province, we mine the world's biggest copper and gold reserve through planning and management that span decades into the future. The vast size of our operations, projects and programs provided us with the opportunity to engage in partnerships with the governments of Indonesia, Papua Province, Mimika Regency, and the local community surrounding us, to achieve a sustainable future that benefits all. We have also formed active relationships and engage in continuing dialogs with stakeholders to ensure mutual success. Since 1992, when our current contract with the government of Indonesia became effective, direct benefits for the people of Indonesia have amounted to more than 15 billion US dollars. We are the biggest private employer in Papua, and one of the biggest taxpayers in Indonesia. Additionally, our voluntary support for community development, our recognition of the traditional land rights of the local community, our environmental management programs, and other activities have provided significant contributions for Papua and the people of Indonesia. We appreciate the response and concern of employees and stakeholders in these challenging times. Our commitment to environmental, economic and social matters will never diminish. The spirit, dedication and cooperation of all our stakeholders are very important towards supporting sustainable development efforts, in the past, present, and far into the future. 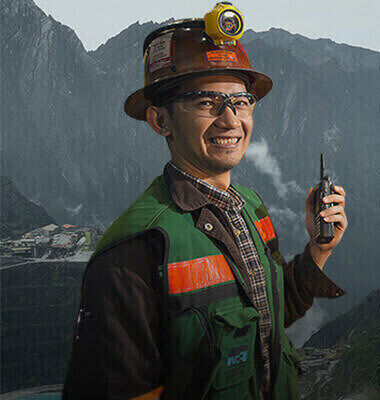 As one of the world's biggest producers of copper and gold, PT Freeport Indonesia recognizes the importance of metals for today's global economy. Meeting the demand for these commodities must be balanced with social and environmental responsibility such that in meeting the needs of present generations we do not jeopardize the capacity of future generations to provide for their needs. This is the core doctrine of "Sustainable Development" that underlies our commitment. PT Freeport Indonesia adheres to the organizational policies of its parent company with regard to ethics, social affairs and the environment. Strong policies guide PT Freeport Indonesia in plying the road leading to sustainable development. Our 40-year experience provides us with a source of knowledge and skills in implementing those policies. Commitment to transparency allows our stakeholders to oversee our performance. Providing independent assurance that commitments to the 10 principles are met. Our performance in relation to identified sustainability risks and opportunities; and level A+ mandatory disclosure under GRI G3 Sustainability Reporting Guidelines.